The first cyclist units went overseas in 1915 to France and Flanders and to Gallipoli, undertaking a reconnaissance role with the Army Divisions and taking the number of the individual Division. Coastal patrols were generally staffed by volunteers who were older and married; they could opt for service on the home front. At the beginning of the war, the coastal patrols used their own machines. Various corps negotiated with different suppliers to buy equipment such as rifle clips in bulk. 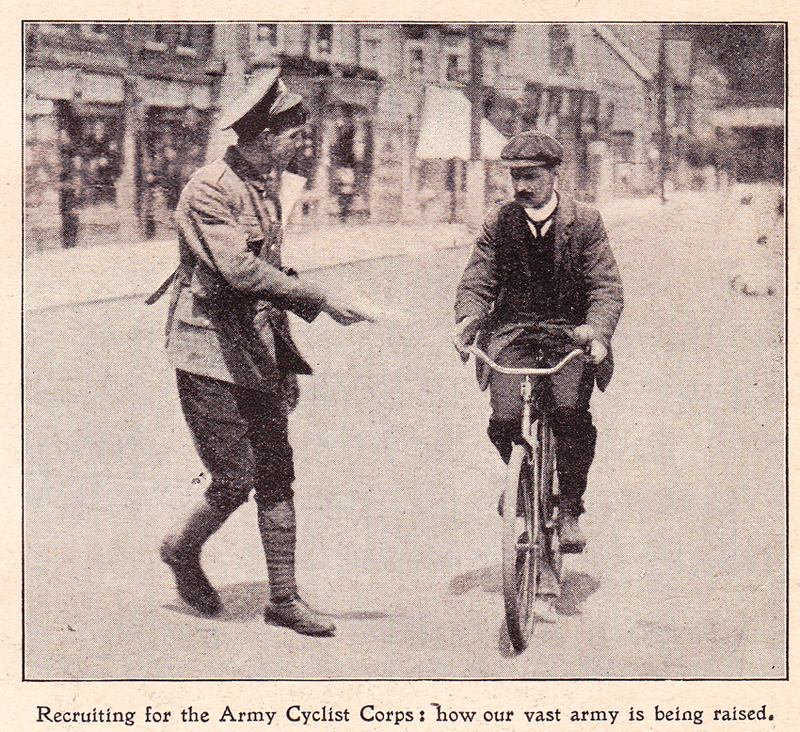 In due course, as armies became bogged down in the trenches, there was a shortage of recruits: upon enlistment, volunteers to cyclist units would receive a bicycle from the government. Subsequently, however, cyclist units were disbanded and most cyclists were sent to the trenches. 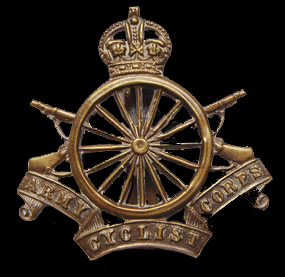 The Cyclist Corps was disbanded in 1919. This machine is typical of the type used during WW1 by cyclist corps on coastal patrol, i.e. a cyclist corps volunteer’s own bicycle with added military fittings. Many similar were also sent to Europe, although the units were soon disbanded, the cycles relegated to stores and the cyclists to the trenches. Few bicycles came back home again after the war, most being used in France and Belgium (and throughout the rest of Europe) as essential transportation. The Heavy Duty Roadster has been fitted with replica rifle clips and a dummy training rifle. (There was a shortage of functioning rifles after war was declared, as the War Office had neglected to order sufficient rifles in advance from BSA. Recruits therefore used this type of ‘rifle’ for practice). The bicycle is in working order.